In 1929 Federico Cantú Garza, a young Mexican artist born in Nuevo León in 1907 to the writer María Luisa Garza Garza "Loreley" and the doctor and journalist Adolfo Cantú Jáuregui, fell in love in Mexico City with Luz Fabila Montes De Oca, a young woman from Amanalco, Estado de México. She was the younger sister of Alfonso Fabila Montes De Oca, a writer and anthropologist who at the time was romantically involved with the artist’s mother. In Mexico City and in the midst of the Cristero War, Federico and Luz pledged their love before God and so united their lives. They then moved, together with the artist’s mother, to Los Angeles, California. In the United States from 1929 to 1930, the young artist painted numerous canvases as well as several murals, and showed his work in various exhibitions. The artist’s wife, who in time would become a painter herself, gave birth to Ícaro Cantú Fabila in May 1929. 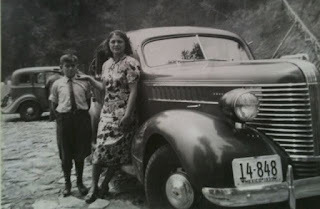 Subsequently known as Federico, he would be the only child of their marriage. Around 1929 and still in Los Angeles, Cantú began working on a sketchbook that he would later call the Dorian Sketchbook, in reference to the pseudonym that he used during that period of time, and in homage to The Picture of Dorian Grey, by Oscar Wilde. His wife bound the sketchbook in leather herself. The marriage of Federico and Luz deteriorated before the end of 1930, not only because of disagreements between the couple, but also due to conflicts in the relationship between the painter’s mother and his wife’s brother. The artist left for France while his wife returned with their son to Mexico. The Dorian Sketchbook was taken to Europe among the personal effects that accompanied Cantú on his journey to Paris. Once in France, the Mexican artist continued working on the sketchbook until 1933. In Paris, the painter lived in the Montparnasse quarter and got to know the most famous figures of bohemian Paris, all the while working on numerous drawings, oil paintings, prints and sculptures, as well as a mural, and showing his work in several galleries. In 1933 the future of Europe was overshadowed by the rise of Adolph Hitler to power in Germany. The same year, Federico Cantú returned home to Mexico, after having lived in the United States and in France. As it was impossible to move back to Mexico with all his work, the artist left many drawings, oil paintings and sculptures in his Paris atelier, which were soon lost. Among the many works that Cantú left in Paris in 1933 was the Dorian Sketchbook. 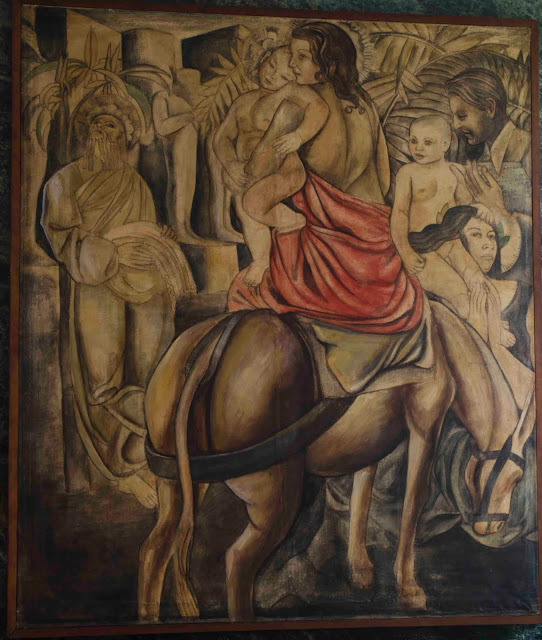 The work left in Cantu’s atelier was probably destroyed, thrown away, or at best, sold off cheap by his landlord. Nothing more was known of the Dorian Sketchbook for several decades. 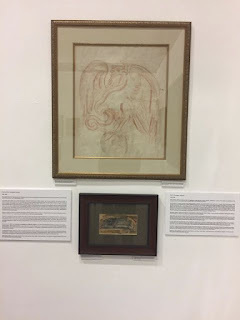 In 2014, eighty-one years after the disappearance of the artwork left by Federico Cantú in his Montparnasse atelier, an individual contacted Adolfo Cantú Elizarrarás, the painter’s grandson and curator of his work, telling him that as the result of an auction purchase in Paris, he was then in possession of a sketchbook which was said to be the work of the Mexican painter. It came from a private collection in France, the owner of which bought the piece from another person, who in turn inherited it from a family member. Adolfo Cantú, overjoyed by the sudden appearance of an object that he had thought was lost, corroborated the authenticity of the piece. The individual who purchased the Dorian Sketchbook at auction in Paris traveled to Mexico and the United States, trying to sell it. He was unable to do so and decided to put it up for auction once again. Sebastian Mennell, an Italian-British antiques dealer living in Mexico, became aware that a European auction house was offering a sketchbook by the artist Federico Cantú: the Dorian Sketchbook. Fascinated by the beauty of the object, he purchased it and brought it back to Mexico. In November 2016, the aforesaid European dealer decided to show the Dorian Sketchbook in an antiques fair organized in Monterrey. In this fair, the piece was acquired by a Mexican collector. At that time, a native of Monterrey and great-nephew of Federico Cantú’s wife, heard that his friend the Mexican collector had acquired the Dorian Sketchbook, and asked him for the piece on temporary loan so that it could be shown in an exhibition. 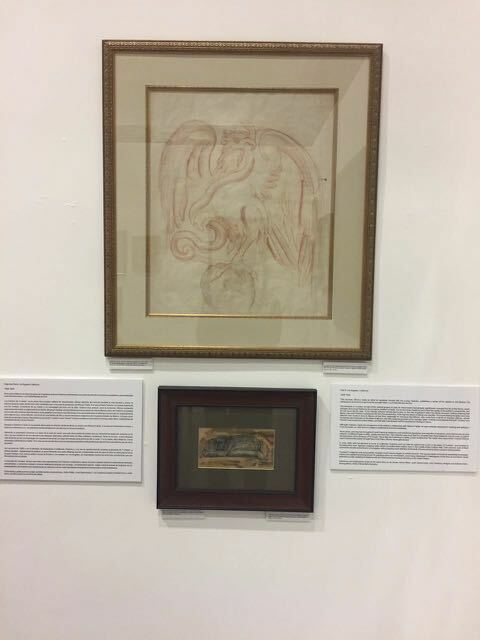 Once he obtained the Dorian Sketchbook on loan, Luz Fabila Montes de Oca’s great-nephew approached his cousin Adolfo Cantú Elizarrarás, proposing that they organize an exhibition focused on this work, to be presented the painter’s birthplace - the city of Monterrey, Nuevo León. Adolfo Cantú Elizarrarás agreed and they began working together on the project. 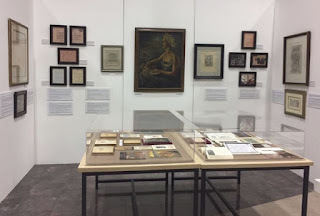 Thus, LiberArte, a Cultural Program of Facultad Libre de Derecho de Monterrey, has the honor of presenting here in Monterrey the exhibition entitled "The Dorian Sketchbook of Federico Cantú: Scenes from his Private Life". 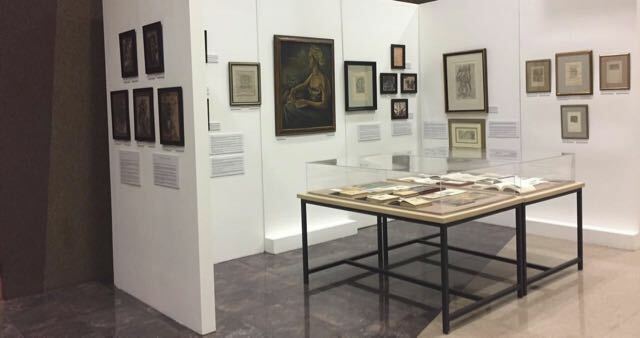 This exhibition is made possible by a private collector’s loan of the work itself, as well as the cooperation of the Federico Cantú Fabila & Elsa E. de Cantú Collection, the Cantú Y De Teresa Collection and the PFGC Collection, in addition to the support of the Centro de las Artes de Nuevo León, through its director, Mr. Jorge García Murillo, in the digitalization of the work. 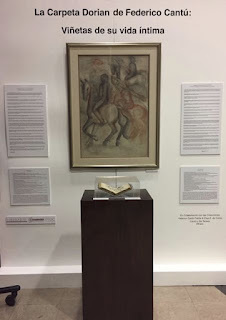 In this exhibition, the Dorian Sketchbook returns to the land where the master Federico Cantú was born, as a work which forms part of the cultural heritage of Nuevo León and of Mexico itself, and which may now be enjoyed and appreciated by the entire community of Nuevo León, in the month and year in which we celebrate the 110th anniversary of the artist’s birth. 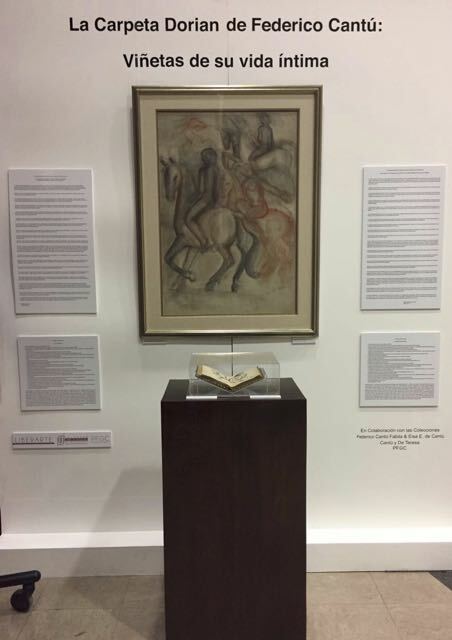 The Dorian Sketchbook – a work which Federico Cantú completed in Los Angeles and Paris between 1929 and 1933 and which has been lost for over eighty years – has now been discovered, restored and is now presented in Monterrey. It is an honor for LiberArte and Facultad Libre de Derecho de Monterrey to participate in this celebration of the Day of Cultural Heritage of Nuevo León, 2017.